Dr. Daniel W. Smith was appointed principal of Floyd E. Kellam High School (KHS) on March 15, 2016 and is entering his twelfth year as a building principal. Dr. Smith is the eighth principal at Kellam High School in the past fifty-six years. Born and raised in Hampton Roads, Dr. Smith attended Chesapeake City Public Schools and Western Branch High School. His undergraduate studies were at James Madison University, and he was awarded a Master of Science degree in Education Administration and Supervision from Shenandoah University, and his doctoral degree in Educational Leadership from University of Virginia. Dr. Smith’s passion lies in the power of student and teacher relationships as a catalyst to infuse rigorous and relevant learning experiences for all students. Dr. Smith is dedicated to ensuring that high-quality teaching and learning is taking place in each and every classroom. During his educational career, Dr. Smith has taught all grades from preschool through twelfth, in a variety of locations. His first teaching position allowed him to venture to the most northwestern point of the United States in Kotzebue, Alaska. In 2003, Dr. Smith moved back to Virginia and resided in the beautiful Shenandoah Valley, serving as an assistant principal of a large elementary school, a principal of a preschool through seventh grade school, and the founding principal of a new middle school. Prior to his assignment at Kellam, Dr. Smith served as principal of Corporate Landing Middle School and Princess Anne High School in Virginia Beach. Currently, Dr. Smith serves as an adjunct professor at Old Dominion University in the Department of Educational Foundations and Leadership and as past president of Virginia ASCD, a non-profit education organization committed to advancing teaching, learning, and leadership in the Commonwealth. In 2011, he was one of the thirty-six international educators recognized as an Emerging Leader by ASCD, the premier education organization for professionals. 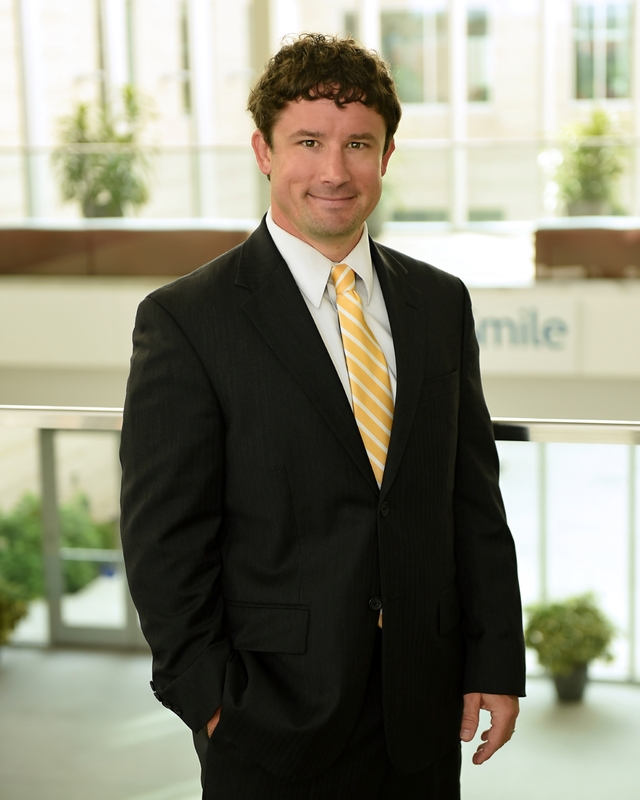 Dr. Smith resides in Virginia Beach with his wife and two children. He enjoys many outdoor activities including kayaking, fishing, and running, and spending time with his family and watching the Redskins, the Dukes, and the Cavaliers. This year, he is looking forward further operationalizing our shared vision at Kellam High School and building on the successes of our school supported by our outstanding staff and amazing student body! Working with students and building lasting relationships to make a positive impact is a passion for Dr. Cho. Education gives us knowledge of the world around us and changes it into something better. The aspiration of educators is to see every child as unique composites of potentials and abilities. Prior to becoming an Assistant Principal at Kellam High School, Dr. Cho served as an Assistant Principal at Cox High school for two years, and Tallwood High School for four years. She began her teaching career at Salem Middle School where she taught Special Education and then, served as the teacher specialist at Office of Programs for Exceptional Children. Dr. Cho holds a Bachelor of Arts in Political Science and Minor in Spanish, and a Master of Science in Education both from Old Dominion University. She also holds a Certificate of Advanced Studies in Educational Leadership and Administration from George Washington University. Dr. Cho earned her Doctor of Philosophy in Education with an emphasis on Special Education at Old Dominion University. Dr. Cho resides in Virginia Beach with her husband, a proud graduate of First Colonial High School. She enjoys fishing, gardening, and cooking. She is very proud of landing a 32” red drum! Mr. Andy Filipowicz is a proud graduate of the Virginia Beach City Public Schools having attended Strawbridge Elementary, Princess Anne Middle School, and Ocean Lakes High School. He then went on to The College of William and Mary where he earned a B.S. in Psychology and Government. After college, he returned to his Alma Mater and served for five years as an AP Psychology and US/VA History teacher as well as Wrestling, Softball, and Scholastic Bowl coach. After two years in the Center for Teacher Leadership, he served at Independence Middle School for two years as the School Improvement Specialist and Wrestling Coach and then three years as an Assistant Principal. Along the way, he earned an M.Ed from the University of Phoenix and an Ed.S in Supervision and Administration from Old Dominion University. Mr. Filipowicz and his wife, a VBCPS high school Math Specialist, reside in Virginia Beach along with their two young sons. Mr. Filipowicz’s parents are from Buffalo, NY and thanks to them and a brief, but very cold experience living in Buffalo as a child, he is an avid and hopeful, but realistic, fan of the Buffalo Bills. Proud New Englander, Angelita Isom earned her undergraduate degree from the University of Rhode Island and began her career in Providence as a sixth grade teacher. Moving to Virginia Beach in 1992, she went on to teach 5th grade at Ocean Lakes Elementary School. She received her Master of Science in Education Degree from Old Dominion University in 1997 and her Certificate of Advanced Graduate Studies from Cambridge College in 2004. She had the pleasure of being a founding member of the Corporate Landing Elementary and Middle School staff before taking her first appointment as an assistant principal at Bayside High School. In 2008 she joined the Cavalier family were she remained until her appointment to Kellam High School in 2016. During her career Mrs. Isom has worn many hats; she was the grade level chair, department chair, yearbook advisor for eight years and dance and step club sponsor, to name a few. Additionally, she was founder and sponsor of Princess Anne High School’s DREAM; a male mentoring group that serves the underclassmen of Princess Anne HS and Thalia Elementary School. When asked what she is most proud of she will tell you it is her role as a mother to two beautiful daughters. Mrs. Isom truly believes that every student can learn; some need help and some need hope. Mr. Sherman is entering his third year at Kellam High School. Before moving to Kellam, Mr. Sherman served as an assistant principal at Ocean Lakes High School for three years, Green Run High School for seven years, and Bayside Middle School for three years. Prior to becoming an assistant principal, he served as a social studies teacher at both Green Run and Bayside High Schools, and a soccer coach, and School Improvement Specialist at Bayside High School. Mr. Sherman is a product of the Virginia Beach school system having attended College Park Elementary, Brandon Junior High, and Green Run High School. He earned his undergraduate degree from Randolph-Macon College and his Master of Arts degree in Education and Human Development from The George Washington University. In his free time, Mr. Sherman enjoys playing soccer and spending time with his wife, Julie, and his three daughters, Regan, Ryan, and Reese. Ms. Hoffman serves as the Instructional Specialist at Kellam High School. Prior to returning to Kellam HS, Ms. Hoffman worked as an English teacher at Bayside Middle School and Kellam High School, as the Secondary English Coordinator in the Department of Teaching and Learning, and as the Coordinator of Professional Learning in the Office of Professional Growth and Innovation. Ms. Hoffman earned a B.S. in English and Spanish from SUNY Brockport. In addition, she earned a M.S. in Curriculum and Instruction and an administrative endorsement from The George Washington University. She believes her contribution to public education is to be a champion of high-quality teaching and learning, focusing her professional work on helping schools and teachers design powerful learning environments and experiences for children. A lifelong devotee of the power of literacy in our lives, she advocates for portfolio assessment as a tool to empower teachers and students and to build strong community partnerships. Outside of school, Ms. Hoffman enjoys reading and spending time with her twins, Beck and Lily, and her husband, fellow Knight Mr. Hoffman. A native of Buffalo, New York, she also finds the will to cheer for Buffalo Bills each season. Lisa Long has served as Kellam's School Improvement Specialist since March 2004. Her responsibilities include overseeing standardized testing, remediation, data collection and dissemination, and staff development. She believes that data-driven instruction can improve teaching and learning. This school year marks Mrs. Long's 36th year with VBCPS, having begun her career as an English teacher at Green Run High School in 1982. She holds a B.A. in English and Journalism from the University of Richmond and an M.B.A from Old Dominion University. She is married to a VBCPS Latin teacher; they have two children who are both in graduate school. She enjoys traveling with her family, reading, watching movies and walking on the beach. One of her major goals for this school year is to help teachers use individual student data to drive instruction. Trey Campbell is the Office Manager at Floyd E. Kellam High School. A Kansas native, Trey has worked within various schools in VBCPS, as well as with Gifted Programs at the Department of Teaching and Learning. Mrs. Campbell is a proud graduate of Princess Anne High School and attended James Madison University before graduating from Old Dominion University with a B.A. in International Studies. Mrs. Campbell has studied in both Mexico and Peru, and brings enthusiasm and energy to Kellam High School. Kelsey Seibert is a proud graduate of Kellam High School, c/o 2000. She is excited to be back serving her community as School Counseling Department Chair. After high school, Kelsey went to Newberry College in South Carolina where she majored in Communications and Broadcast Journalism and also played collegiate Basketball and Volleyball. After leaving her first career in TV/Radio, she found her passion through helping students at the Virginia Beach Ropes & Initiative Course, a former department of VBCPS that emphasizes learning and growth through experiential education. Through this experience, Mrs. Seibert knew she wanted to pursue helping students on a deeper level and received her Master of Science in Education in the field of School Counseling from Old Dominion University. While earning her degree, she worked as a permanent substitute and served as varsity basketball coach at Ocean Lakes High School. Upon completion of her Masters, she accepted a job at Currituck County High School where she remained as a school counselor for 6 years before returning home to Kellam High School. Mrs. Seibert grew up in Sandbridge and her and her husband currently live in Pungo with their two children, Grady and Lexan, and certified therapy dog, Beau. She enjoys reading, all things outdoor, especially the beach or being on the water, and still loves playing basketball and volleyball whenever she can. Her favorite part of her work is helping to build a connection; with our students, with our staff, with our community and with anyone who has a vested interest in helping our students reach their full potential. Ms. Cosimano joined the Kellam family in February and is excited to start her first full year as Kellam’s Student Activities Coordinator. She is a proud graduate of Virginia Beach City Public Schools and received her B.A. in Communication Studies from James Madison University. Right after college Ms. Cosimano taught sixth grade English and coached field hockey at Salem Middle School. She has also served as the Student Activities Coordinator at Landstown Middle and, most recently, at Princess Anne High School. In her spare time she enjoys running, traveling, shopping and spending time with her family including her husband and energetic four year old daughter.